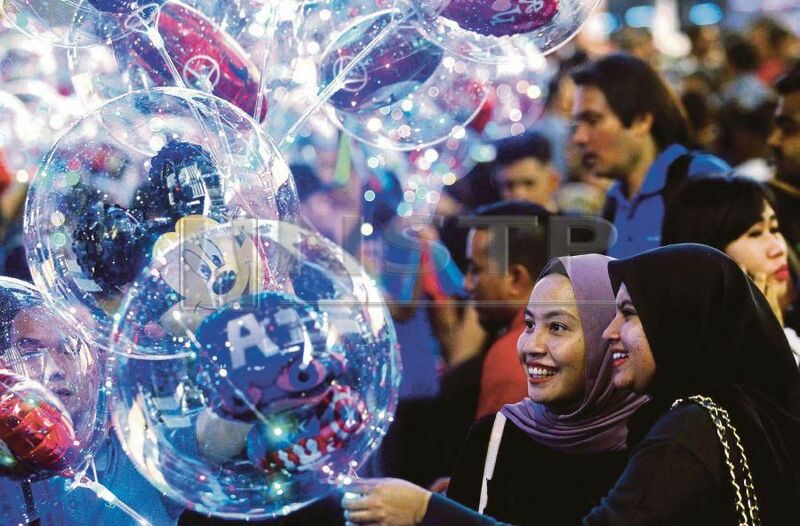 WHILE a new year typically presents a point to start looking forward from, it could take a while before 2018 is completely consigned to history for it was a year filled with dizzying happenings, many never thought of before, and many too which should serve as lessons as Malaysia enters 2019 and beyond. Who would have thought this time last year that the once formidable Barisan Nasional (BN) government would fall, and that its lynchpin party, Umno, would as rapidly decline from a roving battleship to a rusty rudderless boat. No one would have thought so, just as no one would have given a 93-year old former prime minister the slightest chance of making a dent on a then steely BN government that has governed the nation since independence, let alone push it to the brink of destruction. But the environment played a major role too, as the BN ship, after decades of complacency and of taking public sentiment for granted, sailed into a riptide it could not extricate itself out of. By and large, the public were tired. Tired of the then government excesses, the missing accountability, of corruption, and most of all by the audacity such acts were committed. Explosion of the 1MDB debacle, one which then prime minister Datuk Seri Najib Razak administration tried in vain to cover up, was inevitable. Najib made one fatal error. He thought that Malaysians were still isolated from the world. His administration’s attempts to shield Malaysians from damning news regarding the problematic development fund failed miserably. When a taxi driver once questioned this writer why was it that the foreign news he read on the internet differed from those in disseminated by the mainstream media, the writing was on the wall. Najib’s party chose what they wanted to believe and what the public should believe when they had right in front of their very eyes a rather simple and straightforward barometer of public trust, the rapidly declining acceptance towards the mainstream media tightly controlled by his administration. Mainstream newspaper circulation and television news viewership headed south, and in droves, as readers and audience turned away from what they saw as nothing but lame efforts to prop up a struggling administration. When even views of commenters using pseudonyms found their ways into what were once serious newspapers, credibility of the mainstream media were all but gone. In their place, the Internet, and social media surged in popularity in shaping public sentiment. At a campaign event by the eventually victorious Pakatan Harapan coalition somewhere in Johor, then opposition political leaders worked up the crowd as at least three photography drones criss-crossed overhead, recording video which surfaced on the Internet almost instantly and thereafter spread like wildfire. Barisan Nasional’s fate was sealed. The victorious Pakatan Harapan must learn from this. The days of empty promises, political rhetoric, and lies, are over. With the ease in which information may now be obtained, the power to change governments now lie fully in the hands of the people. The current government must realise too how quick the public have set aside euphoria from the change in administration to start demanding results. Observe too their growing intolerance towards rhetoric and self-glorifying political statements and their demand for new and realistic policies that would answer their question of “what’s in it for us”. While it will not be easy for the government to meet all the people’s demands at once, they must be informed of any efforts and progress of such. Indeed not all the demands would be met as some may have been put in place simply to ensure the previous government’s continuous rule. But still, as in previous year ends, Malaysians took their much-desired break from the monotony of work towards the end of 2018. All roads leading to destinations outside of Kuala Lumpur were choked with traffic from just before Christmas while social media pages were filled with pictures of Malaysians in some faraway land, enjoying their year-end leave. In many offices in Kuala Lumpur only a handful were left manning operations in the final days of the year. The country remains generally peaceful, an important requisite for it to continue moving forward.